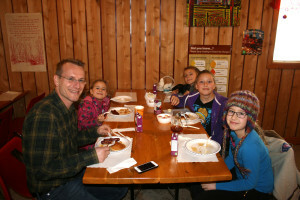 Schools, tour groups, seniors (by appointment), families are always welcome. 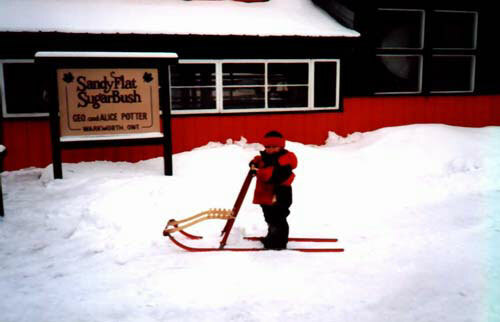 Adults $2, Children under 10 $1. 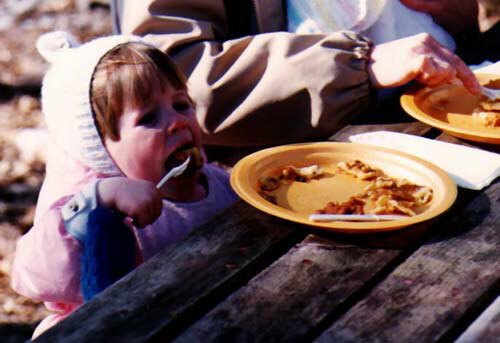 Infants are free. 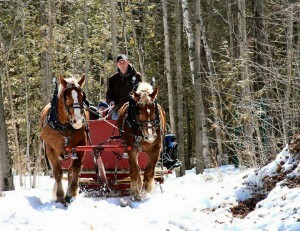 Two horses ready to take our guests for a sleigh ride. 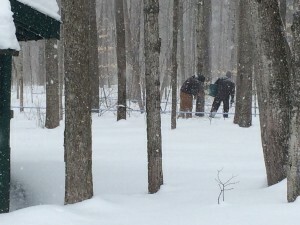 Maintaining the lines that bring the maple syrup into our boiler house. 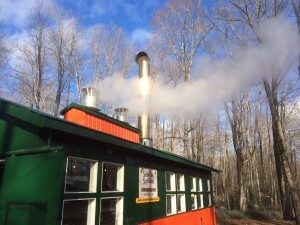 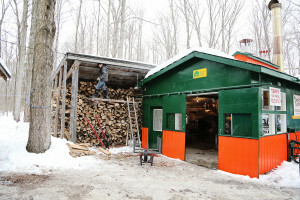 It takes a lot of wood to boil down maple syrup! 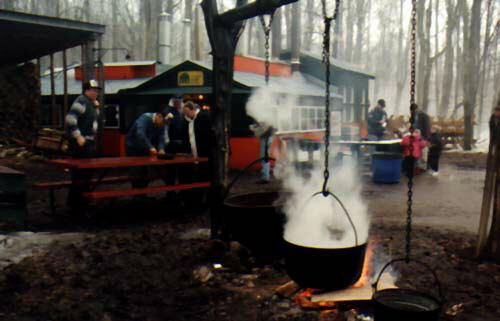 Boiling down the maple sap to make maple syrup. 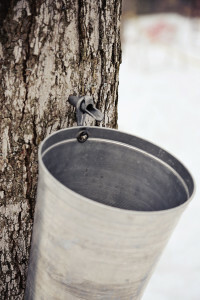 Early settlers/pioneers used big iron kettles to boil down their sweet maple sap, to make maple syrup. 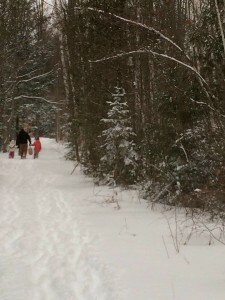 Our little friend is ready to try our cross-sled on our snow covered Nature Trails. 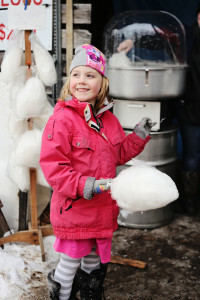 Come and try some of our delicious maple cotton candy during our Maple Syrup festival. 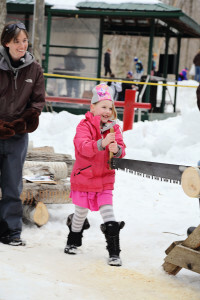 Test your mettle with some log cutting.